M-Sport Ford World Rally Team’s Sébastien Ogier and Julien Ingrassia secured their sixth FIA World Rally Championship for Drivers and Co-drivers this weekend – coming out on top after a dramatic final-day showdown at Kennards Hire Rally Australia. This year’s championship has been the most exciting in years, but Ogier, Ingrassia and M-Sport Ford produced something special once again – speed, determination and outstanding team spirit all contributing to another very successful year for the Cumbrian squad. “It’s been an emotional day and I can tell you that this championship really does mean a lot. Two months ago it wasn’t looking good, but when you have Sébastien and Julien in your team you know that anything is possible. “The way they fought back over the last three events was incredible and I am so proud of all we have achieved together. We will certainly miss them next year, but this was a proper team effort and I have to say that every single member of the team played their part in the result. “I would also like to congratulate Ott and Thierry on such a fantastic championship battle over the course of the season. We know first-hand how competitive they are and it really was a pleasure to watch the world’s three best drivers do battle right down to the wire. 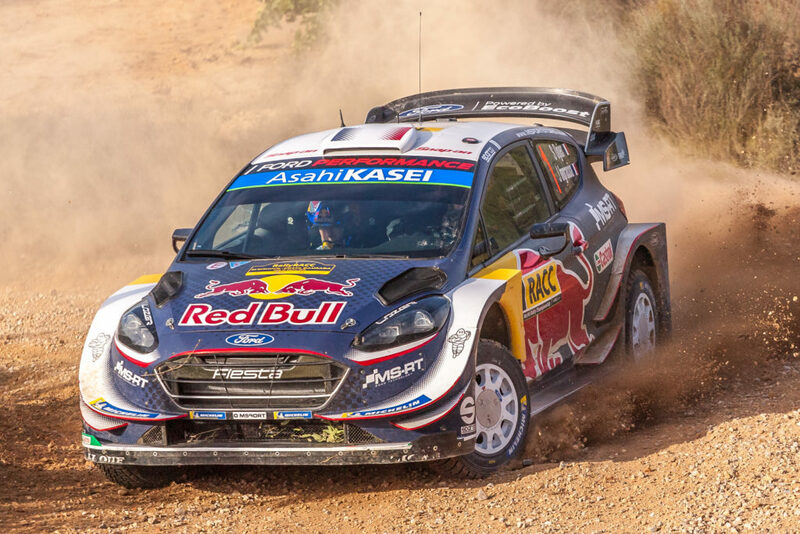 Sébastien Ogier and Julien Ingrassia headed into the final day of competition knowing that six was the magic number – a sixth place finish all they needed to claim a sixth successive FIA World Rally Championship. Doing what they needed to do in a sensational fight that went down to the wire, the pressure was on Ogier’s rivals and, one by one, Thierry Neuville and Ott Tänak hit trouble – each caught out whilst refusing to give up the fight and pushing admirably through the treacherous conditions. That meant only one thing, Ogier and Ingrassia had done it – defending the crown they secured with the Ford Fiesta WRC 12 months previous. The result was the perfect way for the team to say farewell to their champions after two very special years together. Elfyn Evans and Daniel Barritt have been rightly heralded ‘team mates of the year’ – playing a significant role as Sébastien Ogier and Julien Ingrassia defended their FIA World Rally Championships today. The Brits played their part selflessly this weekend – handed the Frenchmen a more advantageous road position at detriment to themselves, and showing good speed despite the looser conditions they had to contend with as a result. When road cleaning wasn’t a contributing factor, Evans showed his pace and set a string of top times through the super special stages. It’s not been the season the Welshman had hoped for, but he has shown his speed and played his role admirably – helping the team defend two of their FIA World Rally Championships. Teemu Suninen and Mikko Markkula may have been experiencing the unique nature of the Australia stages for the first time this weekend, but that didn’t stop them showcasing their speed and team spirit – missing out on a stage win by just 0.1 seconds on Friday before playing the team game to give Ogier a more advantageous road position. The young Finn continued to gain vital knowledge and experience in a variety of different conditions over the weekend’s competition, but was forced to retire with impact damage after the penultimate speed test. “It was a shame not to have finished this rally, but I am really happy for the team and for Seb and Julien who really deserved this Championship. Everyone has worked really hard and it’s nice to see this result for them.